The BFM knows that in all walks of life there is a big emphasis on health and safety of its workers, customers and operatives. That is good but sometimes it goes beyond reasonable situations. 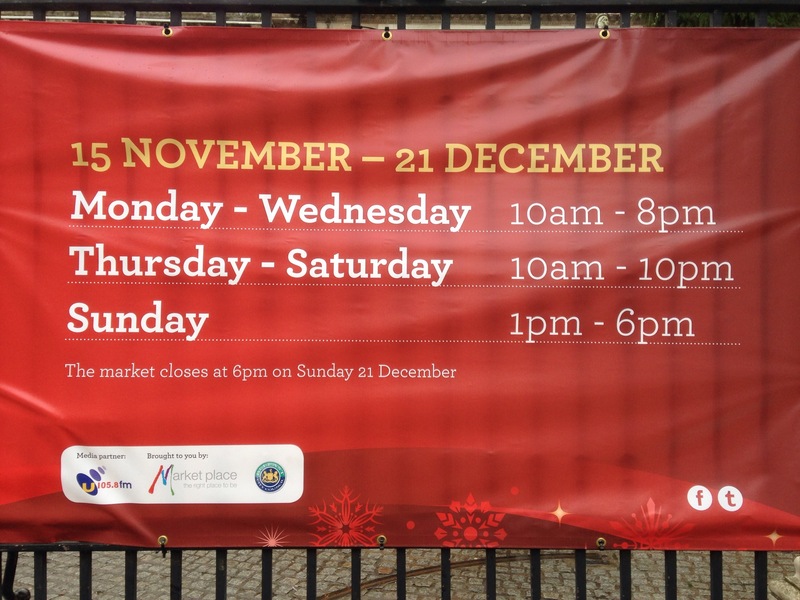 Take the Christmas Continental Market in the grounds of City Hall Belfast. I spoke to Alan the MD of Marketplace who said that by law they have to carefully follow the official guidelines of the so called “the Purple Book”. The result, after advice from Paul Scott, who is a very well respected H&S advisor in the UK for events was that at weekends and busy evenings the maximum capacity of the market can not exceed 4000 at any one time. So in short Marketplace (who run 70 events a year across the UK and advise other markets/events) are just following legislation. So to all the traders and customers please understand that Marketplace are just doing things by the book. Alan hails from outside Manchester and has been doing markets since 2004. So happy 10th bday from the BFM. The manager in Belfast is Norman who is a lovely guy. So please support the market and bear with the arrangements.